ESI is a leading design and manufacturer of downstream processing equipment for the plastic profile, tubing and small diameter pipe industries. With the widest range of standard equipment in the industry, ESI can provide single source equipment from the extrusion die through to end of line material handling. Engineered turn-key extrusion systems including start-up, run-in and training are also available including line control integration for increased process control. All standard equipment categories are offered in numerous configurations and with a wide range of optional equipment allowing a wide variety of choices as customer’s look to improve their process capabilities. Today’s competitive plastics market may require processors to look toward modified or custom designed equipment solutions to further enhance their ability to stay competitive. Through our in-house design engineering capabilities, ESI can provide custom engineered solutions designed around your specific processing requirements. From our inception in 1981 we have developed an industry wide reputation as an innovator in the design and manufacture of downstream extrusion processing equipment. Our pioneering work in the development of in-line fabrication equipment has provided customers the ability to further enhance their lean manufacturing initiatives by providing a means to bring fabrication functions such as punching cutouts, notching, drilling, routing, multi-axis and angled end cuts, into the extrusion line, eliminating WIP and double handling. Our unique Accupunch series of in-line fabrication equipment has provided extruders with the ability to produce repeatable, finished parts at the end of the extrusion line for over twenty years. Processors of very rigid profiles can take advantage of our ASC series of servo boosting presses providing highly accurate, high speed in-line fabrication by precisely following the extrusion line speed through the use of precision ball screws, superior servo control and high resolution encoder. 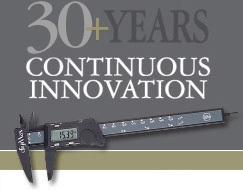 ESI’s dedication to maintaining our position as an industry leader in the areas of cut-to-length accuracy has lead to the development of numerous industry leading advancements in the area of precision cut-to-length equipment. By utilizing the latest developments in servo motion control technology and our in-house control programming capabilities, ESI has developed our industry leading HAPC line of fly cutting equipment which has proven to produce in-line cut accuracy of 0.002" at a 1.6 CPK at cut rates of 657 cuts-per-minute (system capability up to 3000 cuts per minute). Our ASC line of servo boosting saws, for larger profiles, has provided in-line cut length accuracy of +/- 0.020” and feature blade speed regulation allowing cut quality optimization. ESI specializes in partnering with our customers and aiding their process improvement initiatives. Our vast experience, gained in over twenty-five years and through thousands of applications, in conjunction with our design focus on process improvement and automation, allow us to provide a unique perspective to projects. All ESI downstream equipment is designed to provide long term, repeatable service and is configured in a user and maintenance friendly package. We invite you to contact one of our sales engineers to discuss your plastic processing application. We welcome the opportunity to discuss the ESI advantage with you and ways that we can help you improve your overall process. ESI manufactures vacuum sizing equipment in a variety of platforms including vacuum calibration tanks and tables for extruders of rigid, foamed and semi-rigid plastic profiles and full vacuum sizing tanks for extruders of plastic tubing, pipe and hollow profiles. ESI vacuum sizing systems provide users with a versatile, easy to use, maintenance friendly package designed to provide smooth start up and consistent continuous operation. All ESI sizing platforms are offered in numerous cross sections and lengths and with a variety of chamber, pump and manifold configurations. The cooling requirements of extruded plastic profiles, pipes and tubing are often the most challenging and overlooked single component of the extrusion process. ESI's wide range of cooling solutions and optional equipment provides the ability to balance the cooling requirements of various extrudates while accommodating other considerations such as line length, energy/water usage, filtering and maintenance concerns. ESI cooling solutions include spray tanks, flood tanks, flood/spray combination tanks, multi-pass tanks and cooling drums. All ESI cooling tank designs are available in single strand and multiple strand configurations. ESI provides a full range of main-line extrusion pullers including pinch roll, smooth belt and cleated designs. All standard ESI pullers are offered in a variety of sizes and pull force capabilities and with a wide variety of belt and cleat materials and sizes, optional features and drive configurations all allowing the specifier to match puller capabilities to process requirements. ESI pullers are designed in a safe and robust platform and provide consistent speed control to aid in process stability. Puller combination units incorporating cutters and/or saws are also available. ESI pioneered the development of in-line fabrication equipment in the early 1980's and has been an industry leader in this arena for over 30 years. ESI specializes in bringing functions currently performed off line such as punching, routing, drilling, notching, kiss cutting, forming, while combining precision finished cut to length, into the extrusion line. By eliminating the need for redundant equipment, double handling and reducing personnel, ESI in-line fabrication equipment provides accurate, repeatable, efficient results and excellent ROI. Manufacturers of rigid and flexible profiles, seals, trim, appliance components, medical parts, building materials and office furniture to name a few, have taken advantage of this cost saving method of precision, finished part fabrication. ESI cut-off saws for extruded plastic profiles are designed to provide reliable continuous operation while producing repeatable cut length accuracy. Models are offered with down-cut, cross-cut or up-cut saw motions providing the ability to choose the optimal cutting motion for your application. Standard features such as AC inverter saw motors, which not only feature adjustable blade speed to assist in maximizing cut quality, but also provide dynamic braking of the saw blade during power down or e-stop conditions. Full safety cages surround all ESI saw heads. ESI boosting (traveling) saws have a long history of providing repeatable cut length accuracy and reliable service in a user and maintenance friendly platform. Boosting saws are available with pneumatic or servo controlled travel, and puller saw combination units are also available. Processors of flexible plastic extrusions have taken advantage or ESI's unique Accusaw design utilizing a servo driven stop/go feed system and fiber optic length control to provide superior cut length accuracy while insuring cut squareness. ESI also provides numerous choices in blade diameter, saw motor sizes, saw platform and control packages in single strand and dual strand configurations. In addition to this wide range of standard saw designs; ESI can provide custom designed equipment to meet the challenges or your cutting application. From our inception ESI has been an industry leader in the design and manufacture of precision in line cutting equipment. ESI puller-cutter combinations are offered with a variety of choices in drive configurations, cutter torques, cut-rate capabilities, accuracy ranges, belt materials, puller sizes and control systems. ESI fly knife cutters feature blade holders, direct coupled to servo cutter motors, eliminating the need for clutch brakes and the maintenance and adjustment associated with friction type cutter configurations. All ESI puller-cutters feature our unique quick change, self-aligning bushing system, allowing cut bushing changeover in seconds without the use of tools. ESI stand alone fly knife cutters are available in either high performance servo driven models or air actuated models and are designed to provide low maintenance repeatable service. ESI cutters feature blades direct coupled to the cutter motor, eliminating the need for clutch brakes, eliminating wear surfaces and increasing positional control of the knife blade. ESI servo cutters with ESI's ASC (advanced servo control) provide the ability to maintain control over the blade peak speed through the cutters cut rate capability. ESI's Accufly utilizes stop/go technology where the servo-controlled feeder is automatically synchronized to the extrusion line by a dancer. This system, in conjunction with the fiber optic length sensing, insures superior cut length accuracy by feeding the product in a relaxed (non stretched) manner and ensures optimum cut quality as the extrudate is stopped during the cut. All ESI fly knife cutters feather our unique quick change, self-aligning bushing system, allowing cut bushing changeover in seconds without the use of tools. ESI manufactures a very wide range of coilers, accumulators, let-offs and panners. In addition to our wide range of standard coiling equipment ESI has extensive experience in providing custom coiling systems for a wide variety of industries. Coilers are available in single or dual station designs and can be supplied in automatic cut-and-transfer configurations, some incorporating automatic banding and coil ejection.